As rumors float that Ginobili is leaning toward retirement, some humor is in order. To be clear, Manu Ginobili doesn’t actually get pissed off. He’s reached a higher plane of enlightenment in his 41 years on earth, so he responds to negativity by tapping into the universe’s wisdom. It takes him about three deep breaths to reach peak transcendence, but once he gets there, all he has to do is open his consciousness to the ninth dimension and accept that all life is made of the same matter, which means anger directed toward another is really anger turned inward. He levitates while he unravels the cosmos’ mysteries. Forgot to mention that. But if Ginobili allowed himself the luxury of discontent, he’d realize that his San Antonio Spurs are not contenders without Kawhi Leonard. With Tony Parker gone now as well, he stands alone as the last remnant of glory past, a vestige of bygone days. It didn’t have to be this way. The Spurs could have handled Leonard’s situation differently, preserving that relationship and keeping their title window ajar ever so slightly. Given the heads up from Manu’s brother Sepo that his decision was coming soon followed by the Woj bomb that Manu is seriously considering retirement, believing he could be upset with PATFO doesn’t sound impossible, but it does seem unlikely. A decision to retire most likely isn’t fostered through frustration at how Kawhi Leonard’s injury was handled, but his own personal feelings about what he’s got left to offer, as well as who his teammates are, and the most likely outcome of the upcoming season. Despite the recent rumors, I still think it’s probable that Manu will suit up. 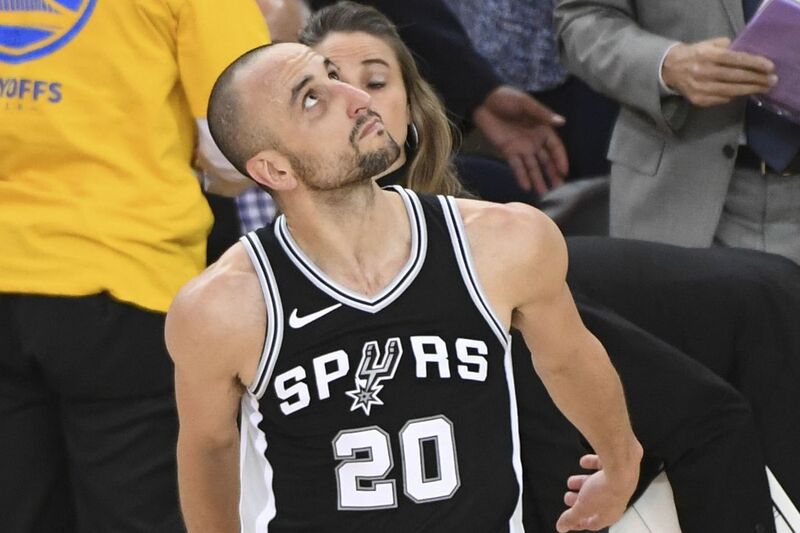 Ginobili doesn’t come across as someone who’d wait until the eleventh hour and leave the Spurs in the dark having passed up opportunities with free agency and trading taking place. Once again in this crazy messed up summer, Spurs fans are waiting on pins and needles for a final verdict.